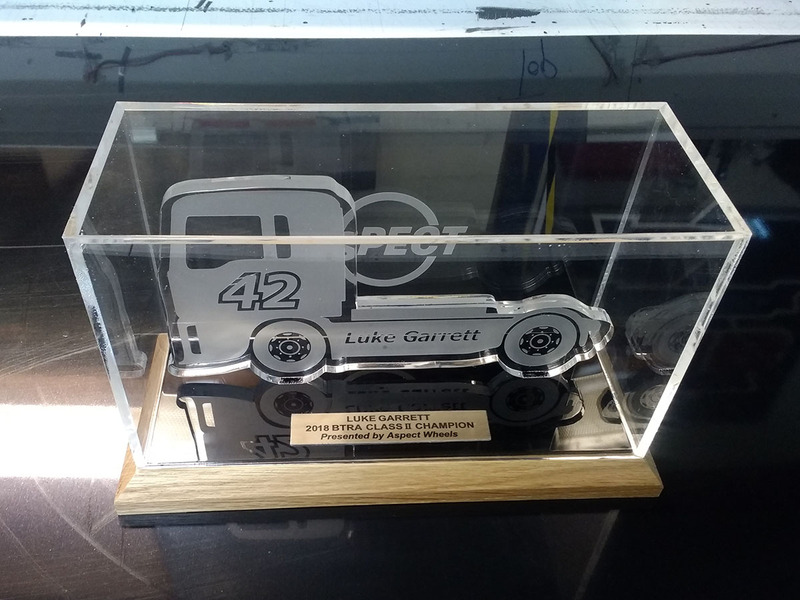 We were requested to design & fabricate a trophy for the British Truck Racing Association with no particular brief other than it had to loosely follow a typical current racing truck. The truck was formed using 8mm thick, ICI Perspex with polished edges, complimented by a brass-effect laque & housed in an acrylic case. We then mounted the finished work onto a hardwood lacquered base to complete.